$1000 OFF Complete Shower System! From our inception in 1989, Dreamstyle Remodeling has made customer satisfaction our No. 1 priority. So, it’s only fitting that after decades of putting customers first, we were voted as America’s #1 Remodeling Company by the esteemed Remodeling Magazine. Our legacy of consistently fulfilling our customers’ home improvement dreams rests on our ability to provide top-quality products and expert installation for every project we undertake. For instance, we partner with only the most trusted industry brands like Kohler, maker of the extraordinary Choreograph™ shower wall system. 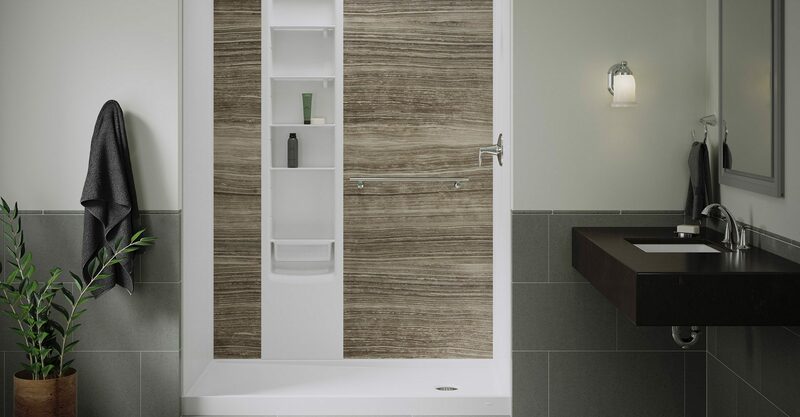 Not only is Kohler a recognized household name, but their shower products offer the high level of value and customization options that our customers expect from us. Plus, our installation team comprises only certified, factory-trained technicians. It’s no wonder that the Albuquerque Journal named us the Best Home Improvement Company – and that’s in addition to our A+ rating from the Better Business Bureau. Dreamstyle Remodeling understands that, for many people, home improvement projects can be daunting. Therefore, we take a personal, no-pressure approach to home remodeling. As your knowledgeable project partner, we offer expert guidance that will make your shower renovation a stress-free experience from start to finish. If you’re ready to transform your showering space with the KOHLER® Choreograph wall system, or if you want more information about the many services we offer, contact Dreamstyle Remodeling today. Don't Miss Out on Our Sale! © 2019 Dreamstyle Showers | All rights reserved.